OPIOIDS - What are they? We hear it all over the news, but do you know what it is and how big the problem is in our own community? 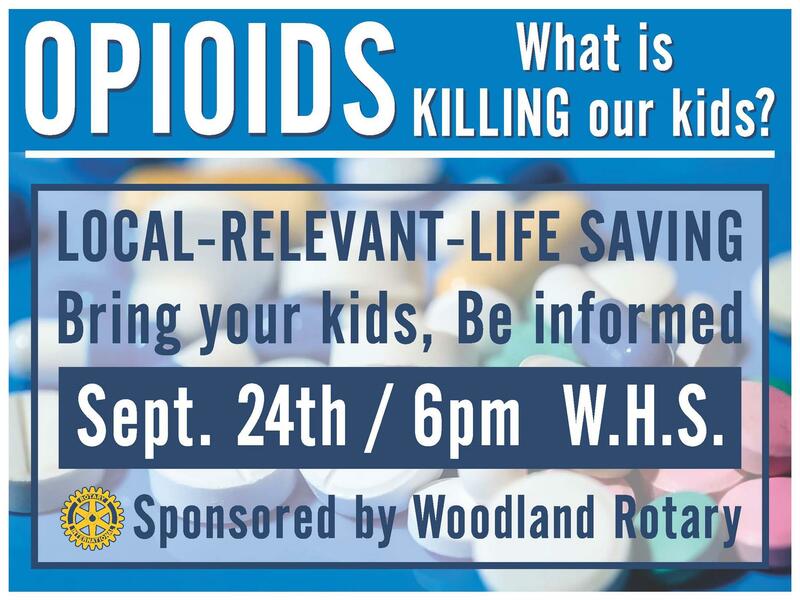 Come to a presentation Sponsored by the Woodland Rotary Club and learn about these dangerous drugs that are killing our kids. Presented by the DEA for our area, find out what is on the streets, how to protect your kids from falling into this highly addictive drug problem. September 24th at 6PM-8PM at the Woodland High School. Click on the link below.